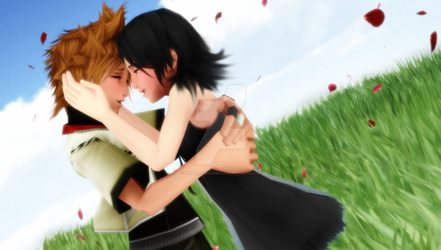 Roxas and Xion are revived and living their lives together with no bounds tied to their free wills anymore. And as you can see, a story is (sort of) told. In this album, Xion wears her mix of KH2 Yuffie/Kairi attire. And she and her boyfriend do some "interesting things."